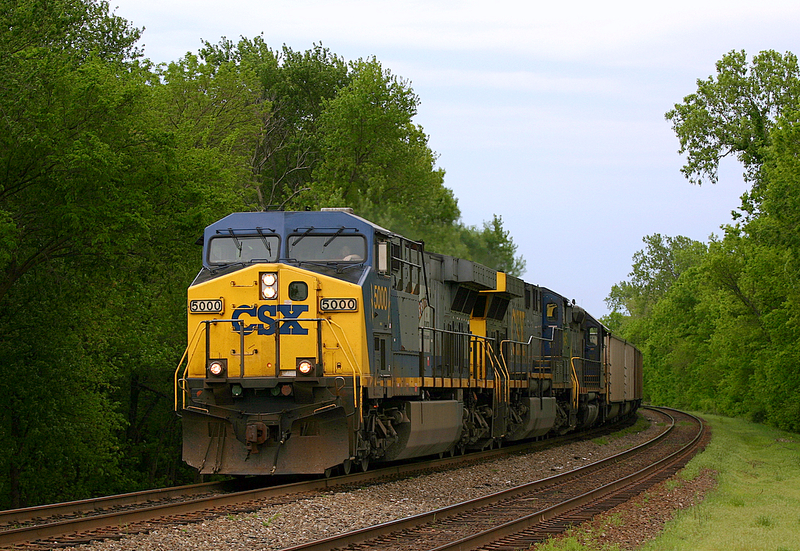 Freight trains have an excellent overall safety record, which is why we don’t flee at the sight of them. But the growing numbers of oil trains rumbling through Washington ought to be making us nervous. U.S. petroleum production – especially at the Bakken formation in North Dakota – has been expanding far more quickly than the nation’s pipeline capacity. As a result, the crude oil is getting carted across states by train and by truck. Let’s take a closer look at the tanker car that hauls much of that oil through Western Washington. It’s called the DOT-111, a 1964 design. The Bakken oil that exploded catastrophically in Quebec last July, killing 47 people, was being carried in DOT-111 cars. Five years ago, the National Transportation Safety Board investigated a low-speed train crash in Illinois in which 15 DOT-111 cars carrying fuel-grade ethanol went off the rails. Thirteen of the cars ruptured; the resulting explosion killed a motorist waiting at the crossing. The NTSB did the math: 13 out of 15. The NTSB noted that the basic DOT-111 lacks many puncture-resistance systems and has a thinner shell than cars designed to carry extremely hazardous liquids, such as chlorine. It reportedly is well-suited for things that don’t blow up, like corn syrup. Bakken crude – as the Quebec disaster demonstrated – is turning out to be unexpectedly volatile and even explosive. It shouldn’t be in the older DOT-111 fleet – newer models are reputedly safer – if the cars aren’t retrofitted with heavier steel armor and other safety features. The American petroleum boom caught regulators and railways with their pants down. Railroad companies didn’t have enough modern, thick-walled tanker cars, so the DOT-111s were pressed into service. Spills and explosions have resulted. The U.S. Department of Transportation hasn’t come up with the tighter tank-car standards the new reality obviously demands. Earlier this month, U.S. Sen. Patty Murray held a hearing that put Transportation Secretary Anthony Foxx on the hot seat. Sen. Susan Collins of Maine asked Foxx when the new oil train standards would be arriving. “My target date is as soon as possible,” he said. Four years ago – when North Dakota ran out of pipeline capacity – would have been better timing. Bloomberg BNA — Deborah Hersman, the outgoing chairman of the National Transportation Safety Board, said April 21 that U.S. communities are not prepared to respond adequately to worst-case accidents involving trains carrying crude oil and ethanol. Answering questions following her farewell address at the National Press Club in Washington, Hersman said U.S. regulators are behind the curve in addressing the transport of hazardous liquids by rail. She said federal regulations have not been revised to address the increase in rail transport of crude oil and other flammable liquids—an increase of over 440 percent since 2005. Hersman, who is leaving her post at NTSB April 25 to serve as president of the National Safety Council, said the petroleum industry and first responders don’t have provisions in place to address a worst-case scenario event involving a train carrying crude oil or ethanol. She said several catastrophic accidents have involved crude oil, including a July 2013 train derailment in Lac-Mégantic, Quebec, that resulted in 47 fatalities. The NTSB, in conjunction with the Transportation Safety Board of Canada, identified regulatory steps that could be taken by the Transportation Department to address safety risks, including expanded route planning requirements for crude oil shipments, the addition of a requirement for carriers to develop response plans for incidents involving crude oil shipments and increased audits of shippers and carriers to ensure that hazardous liquids are properly classified. Hersman said the NTSB scheduled a two-day forum to hear from first responders and the petroleum and rail industries on safety issues. The forum, which will be held on April 22-23 in Washington, will include discussions on tank car design, emergency response to releases of flammable liquids and federal oversight of crude oil and ethanol transport, according to an agenda posted on the NTSB’s website. When asked about the adequacy of the DOT-111 rail tank car to carry crude oil, Hersman reiterated the NTSB’s position that the tank cars are not safe to carry hazardous liquids. The NTSB recommended in 2009 that all new and existing tank cars in crude oil and ethanol service be equipped with additional safety design features, including enhanced tank head and shell puncture resistance systems, top fittings protection and bottom outlet valves that remain closed during accidents. The Pipeline and Hazardous Materials Safety Administration and the Federal Railroad Administration is working on a proposed rule to update the federal design standards for DOT-111 rail tank cars used to transport hazardous liquids. The consensus among industry and regulators is that new design standards are needed, but there is disagreement over whether the new safety requirements should be more stringent than the CPC-1232 standard, a voluntary industry standard adopted for all new tank cars ordered after Oct. 1, 2011.